Single Attached or semi-detached houses have front, rear and any one side or both open spaces in between the adjacent houses. There is only a small space in between the two house units but at one point has an attachment to the house adjacent to it. Single attached houses can be 1-storey, 2-storey or even 3-storey. Bungalow house is usually associated with with one-storey single attached or single detached house units. If you opt for future expansion, choose one that has bigger lot area or end/corner lot unit though usually limited. End units have more space for expansion (front, back, side, etc.) compared to inner units wherein you can expand in front or back or may be add another floor. House expansion must be with the approval of the developer. The price varies based on lot size, floor area, location, number of rooms, house type whether bare or complete type and whether ready for occupancy or in its pre-selling stage. Usually house units with bigger lot size, floor area and more rooms have higher prices. End/corner units have higher prices than inner units. House units within the main road have higher prices than those in the secondary roads within the subdivision. House units nearer Metro Manila have higher prices compared to those in farther locations. Bare type units are much cheaper than complete types. 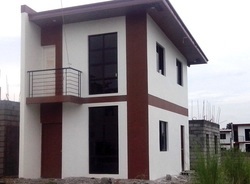 House units in its pre-selling stage are much cheaper than the ready for occupancy units.